It Came from the Swamp and Brought a Whole Lotta Comps! Let your players sink their teeth into WINNINGS! 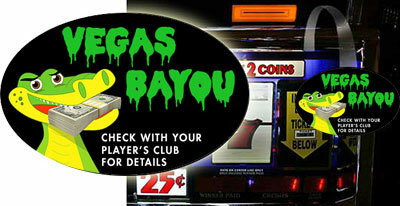 Players earn points on their player’s club card (you determine the levels). 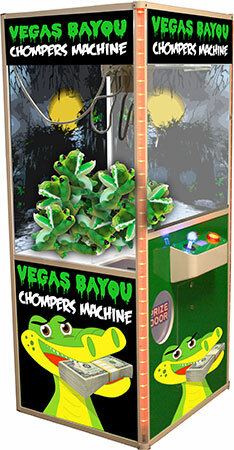 Players pull a Gator from the “Chompers Machine”. Prizes are under the scratch off tag. This is YOUR PROMOTION to select the prize! 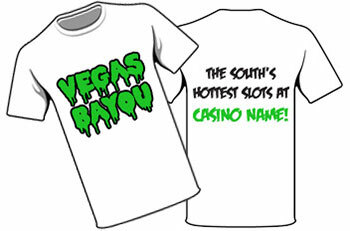 We will customize the tags. 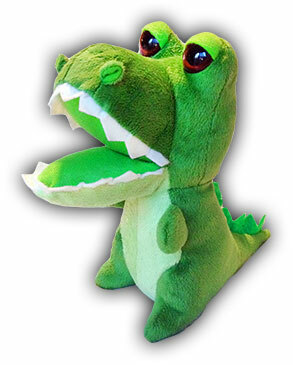 Promotion includes all of the collateral - Chompers Machine, slot wobblers, buttons, tee shirts, and wall noodles!